Local artist Pamela Olson will be at the Breckenridge International Festival of the Arts through Aug. 20. Olson says her inspiration comes from nature, meditation and a variety of cultural and religious influences. What: Breckenridge International Festival of the Arts, a 10-day art festival featuring live performances, visual art, music and more. Where: Blue River Plaza, Breckenridge. Cost: Free admission, tickets for specific events can be purchased. Pamela Olson has a keen eye for detail. The Edwards-based artist specializes in installations involving thousands of tiny porcelain pieces that together create a nature-inspired piece. It is this work that makes her the perfect fit for the Breckenridge International Festival of the Arts, which has the theme of Contemplative Environments this year. Olson met the coordinator several years ago, and asked to be kept in mind for future events — and when this year’s theme ended up suiting her work perfectly, she was invited into the festival. 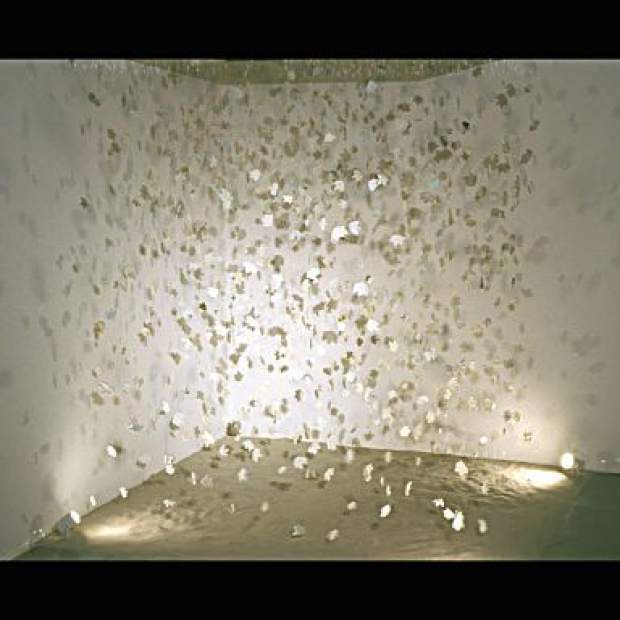 The pieces that she is bringing to the festival include an installation called “Seed Garden” that is made up over 1,200 individual porcelain seed pods that come together to make a nine-foot wide circular wall sculpture. Another installation — “Transformation” — involves hanging translucent porcelain leaves. The final piece will be a porcelain, which resembles a zen garden, but made entirely out of porcelain. Olson says her inspiration comes from nature, meditation, and a variety of cultural and religious influences, including Buddhism and Native American ideology. Much of her art focuses on the life cycle and how these other ideologies interpret the cycle. The upcoming festival is not Olson’s first festival — she worked as an art teacher in several universities, including University of Colorado Boulder and Metropolitan State University of Denver. She has been exhibiting across the state of Colorado for about 20 years, but even her experience with showing her work doesn’t make her any less excited for the upcoming show. The festival is a 10-day program of events and exhibitions across Breckenridge. Other exhibits include films, performances, music and workshops. There are both free and ticketed events. More information and the festival schedule can be found at http://www.breckcreate.org/bifa.